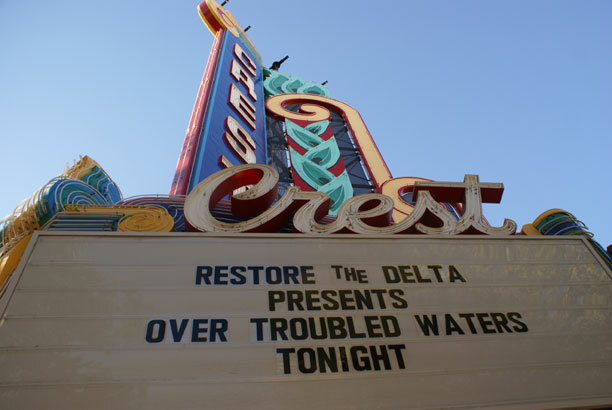 Restore the Delta's just-released documentary, Over Troubled Waters, has touched a nerve with its assertion that some interests maneuvering to get Delta water through the peripheral tunnel plan want to sell it for a profit. Delta group responds to contractors: "A distinction without a difference"
The State Water Contractors, to kick off their new "Delta Doozy" series, have taken issue with a statement made in a trailer for Restore the Delta's new documentary "Over Troubled Waters." "Discussions about the future of California water and of the Bay Delta Conservation Plan have too often become a fact-free discourse that is not advancing an informed discussion," an announcement from the contractors claims. "The State Water Contractors have launched the 'Delta Doozy'series in order to distinguish the facts from the fiction and promote constructive dialogue." "This week’s 'Doozy' comes from the Restore the Delta documentary: 'Over Troubled Waters' trailer," according to the association. "The self-described 'visually rich documentary film' includes the following Doozy about the Bay Delta Conservation Plan: 'This is all part of vast efforts underway to privatize most of the state’s water supply. 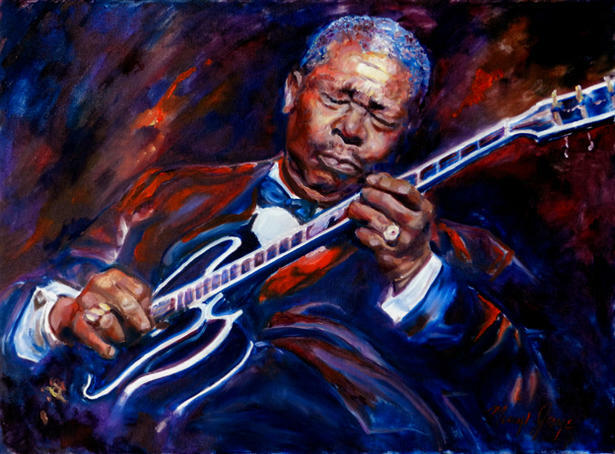 And that is what this is about.'" The organization then cites "Some Facts for the Record: The Bay Delta Conservation Plan is being underwritten by public water agencies such as the Santa Clara Valley Water District, the Kern County Water Agency, the Alameda County Water District, and the Metropolitan Water District of Southern California and other public sources. The Bay Delta Conservation Plan is a long-term collaborative effort to restore the Delta estuary and provide more reliable supplies to the public water agencies that serve more than 25 million Californians, businesses and farms throughout the state." "This plan is not about privatization in any vast or non-vast fashion," the group contends. View the "Doozy" at http://overtroubledwaters.org/, more than four minutes into the trailer. Barbara Barrigan-Parrilla, Executive Director of Restore the Delta, responded to the State Water Contractor's claims by stating, "Restore the Delta's just-released documentary, Over Troubled Waters, has touched a nerve with its assertion that some interests maneuvering to get Delta water want to sell it at a profit." "The State Water Contractors are accusing us of '"fact-free discourse' in a new publication they're calling Delta Doozy.' To support their case, they point to a clip in the film's trailer that doesn't even appear in the documentary itself," Barrigan-Parrilla said. "The Water Contractors note that the Bay Delta Conservation Plan (BDCP) is being underwritten by public water agencies. They take issue with former Delta activist Robert Johnson's 2009 assertion that efforts are underway to privatize most of the state's water supply. (Robert has since moved on to other endeavors)," according to Barrigan-Parrilla. "We don't actually use the word 'privatize' in the documentary. Films such as Blue Gold: World Water Wars have already explored the worldwide trend of turning water, a public trust resource, into a commodity," she noted. "We DO note that despite the importance of agriculture for feeding people, those with water to sell can make more money in construction and real estate, which represent a much larger share of California's economy," said Barrigan-Parrilla. • The Kern Water Bank was developed with state money and taxpayer approved bonds. Within a few years of getting control of the largest underground water storage facility in the nation, billionaire landowner Stewart Resnick and other Kern County water users were selling the water back to the state at a profit and making it available for developments like the luxury Tejon Ranch. • Sandridge Partners, a westside landowner, sold water to the Mojave Water Agency for $5,500 an acre foot, many times what they paid for it. Sandridge Partners is owned by the Vidovich family, which has already made a fortune replacing Silicon Valley orchards with housing tracts. • A Scottsdale developer, DMB Associates, made a deal with Nickel Family LLC, a Bakersfield farming operation, to purchase 8400 acre feet a year for 70 years to use for development 230 miles north of Bakersfield in the San Francisco Bay Area. The project is the controversial Cargill salt flats development in Redwood City. In 2010, in an article titled "Investors Want Share of Water," one online ag journal reported that "hundreds of millions of dollars are waiting to be invested in California's water infrastructure. But there's a tradeoff: the investors putting up the cash want a piece of agriculture's available supplies, which they could sell to urban users for high prices." In the spring of 2010, with a drought underway, a conference was held in Santa Barbara on "Investing in Our Water Future." The subjects included private equity investment in water, picking financial partners, and water marketing. The presenters included water contractors, the state Department of Water Resources, and investment advisors. "Public water agencies underwriting the BDCP are welcome to argue that they aren't responsible if some of those buying the water turn around and sell it at a profit. They're welcome to argue that this isn't a case of socializing costs and privatizing profits," she said. She concluded, "We say, if it quacks like a duck . . ."
The centerpiece of the Bay Delta Conservation Plan is two "peripheral tunnels" that will carry Sacramento River from the North Delta 35 miles to the existing water pumping facilities on the South Delta. The "preferred plan" includes three proposed intakes and two forebays to ship the water south to corporate agribusiness and southern California. Delta advocates oppose the construction of the peripheral tunnels since they would hasten the extinction of Central Valley salmon, steelhead, Delta smelt, longfin smelt, green sturgeon and other imperiled fish species. The project would also take vast tracks of Delta farm land, some of the most fertile on the planet, out of production in order to continue irrigate drainage-impaired, selenium-laced soil owned by corporate agribusiness interests on the west side of the San Joaquin Valley. For more information, go to: restorethedelta.org.